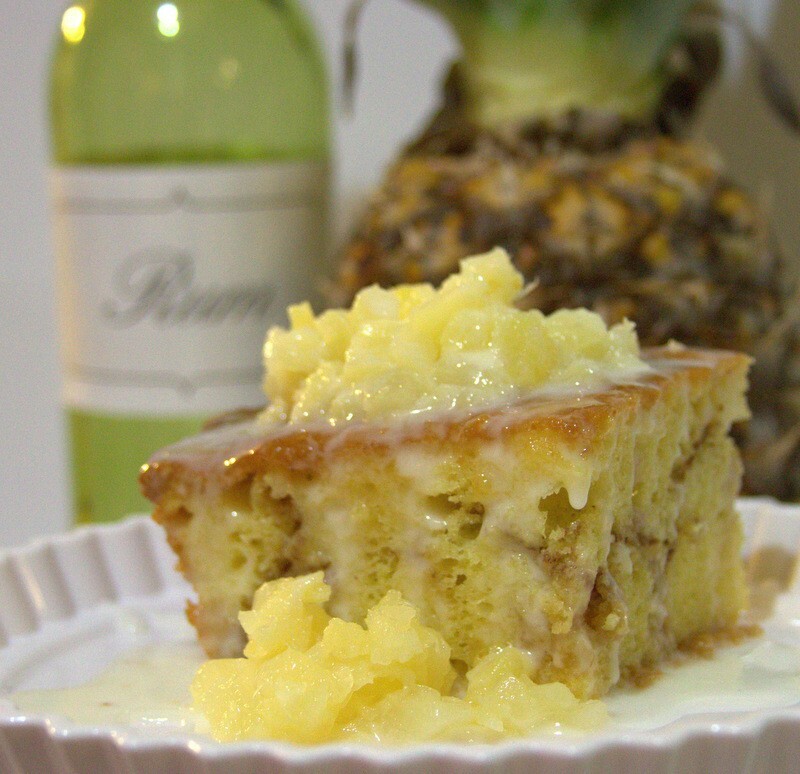 Honey Bun Pineapple Rum Cake, made with fresh pineapple and top shelf Appleton Dark Jamaican rum. Slow baked to a rich and moist perfection. Here are our cake sizes and how many people you can serve: Small-8x8 ( can serve 4-5people ), Medium-13x9 ( can serve up to 10 people ) ,Large- 22x13 ( can serve up to 25 people ). Honey Bun Pineapple Rum Cake, made with fresh pineapple and top shelf Appleton Dark Jamaican rum. Slow baked to a rich and moist perfection. Here are our cake sizes and how many people you can serve: Small-8x8 ( can serve 4-5people ), Medium-13x9 ( can serve up to 10 people ), Large- 22x13 ( can serve up to 25 people ).